There’s one born every minute – a mum – Happy Mother’s Day! Our eldest daughter’s birthday was this week – doesn’t time fly…..eh? Made me think about Mother’s Day which is around the corner – one always hears about the numbers of babies born every minute ( approx 255 – 4.25 a second, scary eh? ) but have you thought about the numbers of new mothers born every minute? “Mothers Day” or Mothering Sunday is always on the fourth Sunday of Lent. Its thought that as Christianity spread through Europe the celebration changed to honour the “Mother Church, the spiritual power that gave them life and protected them from harm” and over time the church festival blended with the Mothering Sunday celebrations and people began honouring their mothers as well as the church. And as many of the England’s poor worked as servants for the wealthy, Mothering Sunday was a day when the ‘staff’ were given a day off to visit their family. Today Mothering Sunday is a day when children give flowers, cards and small gifts, trinkets or a “mothering cake” a Simnel Cake, a rich fruitcake with a marzipan covering and decoration. 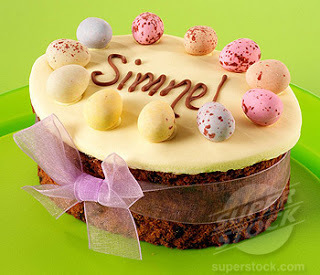 The Lenten fast dictated that the simnel cake had to keep until Easter. It was boiled in water, then baked, and was often finished with an almond icing. Sometimes the crust was of flour and water, collared with saffron – sounds interesting eh? Have you ever eaten one? So if you planned to bake a cake (or even if you didn’t! 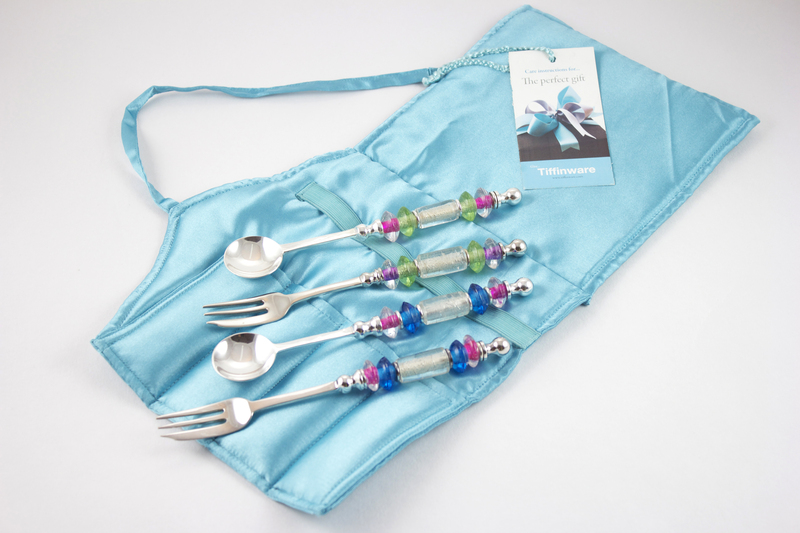 ), perhaps you should buy your mother a beautiful Cake Server made up with her favourite colours – all our cutlery is unique as each piece is made up in your chosen glass bead colour/s especially for you, or in this case your lovely Mum. Another interesting custom was to serve a furmety, a porridge – wheat grains boiled in sweet milk, sugared and spiced. So if your Mum loves porridge perhaps you could make her some on Sunday, and buy her a lovely Spoon to eat hers with? In northern England and in Scotland, the preferred refreshments were carlings – pancakes made of steeped pease fried in butter, with pepper and salt. In fact, in some locations Mother’s Day day was called Carling Sunday. So if this is your chosen delight, perhaps Salt and Pepper Pots would do the trick? Silver plate Salt and Pepper Pots to spice up your life! I didn’t know the American Mother’s Day was celebrated on a different day until I moved to India, yes bizarre I move East to find out! Clearly a gap in the British education system! So who came up with the idea of honouring American mothers on the second Sunday in May? Historians claim that the predecessor of Mother’s Day was the ancient spring festival dedicated to mother goddesses. In the ancient Greek empire this festival honoured Rhea, mother of gods and goddesses. In Rome the most significant Mother’s Day-like festival was dedicated to the worship of Cybele, Phrygian goddess of nature. Ceremonies in her honour began some 250 years before Christ was born. In America, Mother’s Day takes place at the beginning of May each year and was also known as Refreshment Sunday (! ), because delicacies given up for Lent, could be enjoyed again! The first Mother’s Day proclamation was issued by the governor of West Virginia, USA, in 1910, soon every state had its own observances. By 1911 other countries celebrating Mother’s Day included Mexico, Canada, China, Japan, South America and Africa. What about Australia? Is it the British Mothering Sunday celebration or the American one in May? Let me know, always interested in others customs.